Love this guy. Buster found himself injured and in a small rural shelter who knew they needed help to fix him up. We were able to work with this small shelter to make sure he got the care he needed immediately until he could be transported to GDRNT. This shelter was awesome and went above and beyond to make sure he got the veterinary care he needed, and rescue to not only make him well but to help him find an awesome FURever home. Buster is now living the dream with a family who loves him to pieces...even if he prefers the couch to the fancy dog bed. 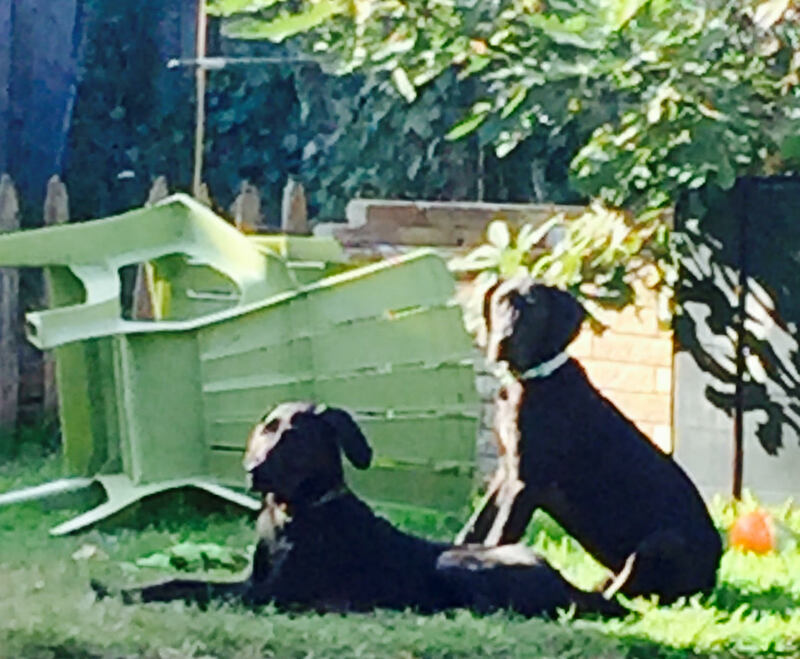 FURever homes take a village.. but without qualified foster homes to care for our danes we simply could not do this. If you have even thought about fostering now is a great time to ask questions, and apply. To apply to foster please complete the Adoption appreciation and mark the box FOSTER, Foster applicants do not need to pay the application fee. Whether you are Celebrating Hanukkah, Christmas or just enjoying the season, we wish all of you a blessed, safe and happy Holiday Season. While sharing the holidays with family out of town, one phone call shattered an otherwise relaxing Christmas Eve. A call from one of our foster homes about a scary situation for a young foster pup. He was having seizures, bad seizures.. Long story short .. Leon needed a miracle, I was not sure we could save him, in spite of the top notch care at the ER clinic. That was five years ago and look at him now. 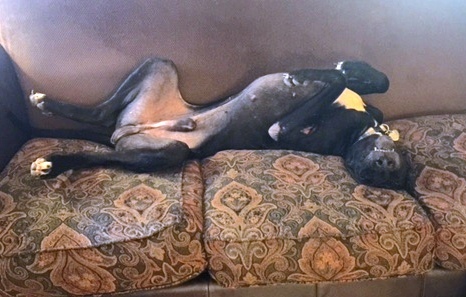 Leon was adopted by his foster mom and five years later is a healthy happy spoiled perfect dane. Seniors have a special place in my heart, as they tend to be overlooked by adopters. So I was beginning to think we would never find a FUREver for a senior with special medical needs. Imagine my excitement when a call from a past adopter looking to give a special needs senior a FURever home before the Holidays. Could this be FUREver for Lenny? 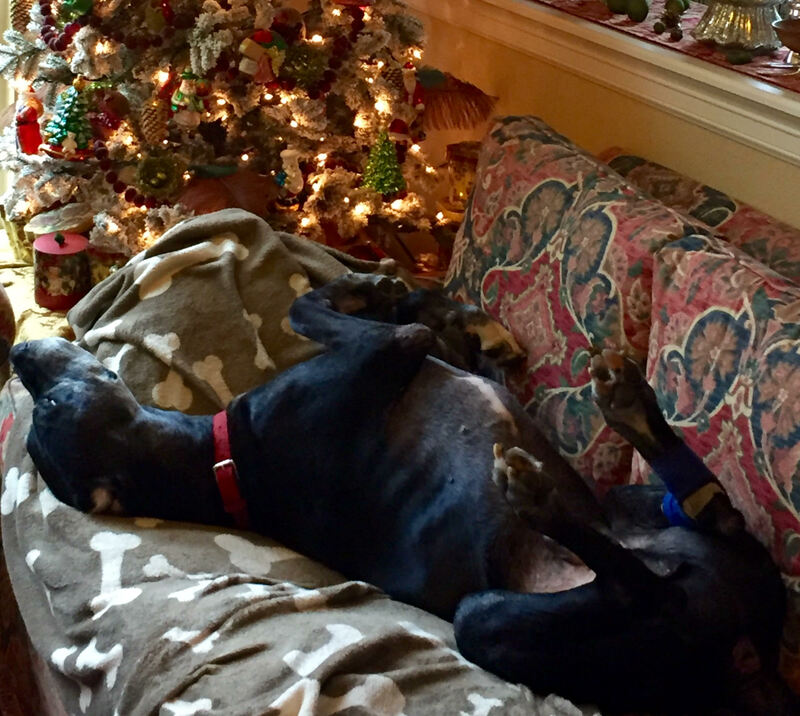 As I explained his needs, his age and overall health I held my breath... At the adoption meeting I was cautiously optimistic and when Lenny curled up on the sofa with his FURever dad I knew JACKPOT another Christmas Blessing. 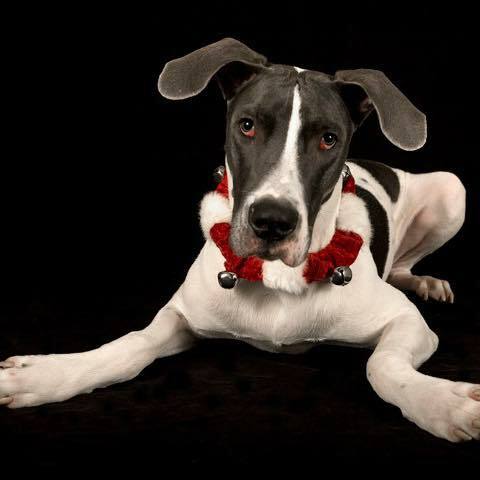 While Lenny was not the only dane to find FURever love this season it is certainly a blessing. Hope. So much of what we do in rescue is based on that one word, hope we can find a foster home, hope they are heartworm negative, hope the leg can be saved, hope the training kicks in, hope she isn't prego, hope the cough is just a cough and hope we have the funds. Hope that all our dogs waiting on FURever homes get as lucky as Leon and Lenny. We give thanks and celebrate all of this at Diva, Dudes and Danes on February 18th. So be sure to save the date as we celebrate our blessings of the Past, Present and Future. You probably already know this but my name is Joshua. I am only 2 years old and this is my first Christmas in a loving foster home. You see my foster family volunteers with GDRNT, and because of them I was able to get out of scary doggy jail. I have learned how loving people can be, that I do "business" outside, the crate keeps me safe, young humans make great friends, food comes on a schedule and life is not so scary. I really like my doggy foster siblings and feel safe with them when my foster humans are not around. I love to run and play outside and take naps. I have felt pretty lucky but what I really want for Christmas is my own FURever family and home. I love my foster family but if I find a FURever home another pup in scary dog jail will get to come here and learn how awesome life can be. 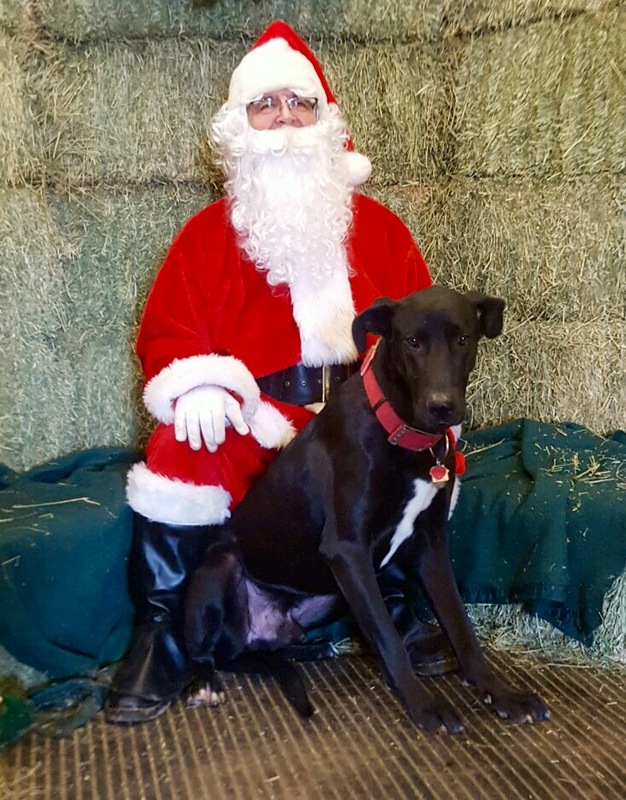 So Santa Paws will you please ask people to check out the How to adopt at danerescue.net and read the on line info and complete the adoption application? Even if I am not the right FURever pup for them one of the volunteers can help them find their FURever match. So here we go again... BRING YOUR PETS INSIDE. North Texas is experiencing freezing temperatures overnight and hard freeze warnings in most of the area. Not just your danes... but all pets.. Your out door Kitty... needs warm shelter... your Alaskan dog breed doesn't live in Alaska... This is freezing for Texas so BRING YOUR PETS INSIDE. At a very minimum they should have access to heated shelter. Best way to reach us is always the Contact page of our website. Yout Pet Ate What? Is it Poisonous? So stuff happens and in the crazy fun of Halloween festivities your pup indulged in some forbidden goodies. How much chocolate will make them sick? Is candy corn poinsonous? Your yorkie bobbed for apples? Your dane drank how much beer? Your doxie got a few too many hot dogs? Your veterinarian office is closed till morning? Should you go to the ER? YIKES So now what? If your pet is in distress head to your closest After Hours veterinarian. DO I SERIOUSLY NEED TO SAY THIS? Read more about Yout Pet Ate What? Is it Poisonous? Trick or Treat, Smell My Paws.. Nope. If you had no idea what Halloween was ... .. a bunch of masked people come to your door, excited for yummy smelling forbidden sweets, loud creatures ringing your doorbell and what with the strange decorations ????? You would probably Nope right out of Halloween Festivities. 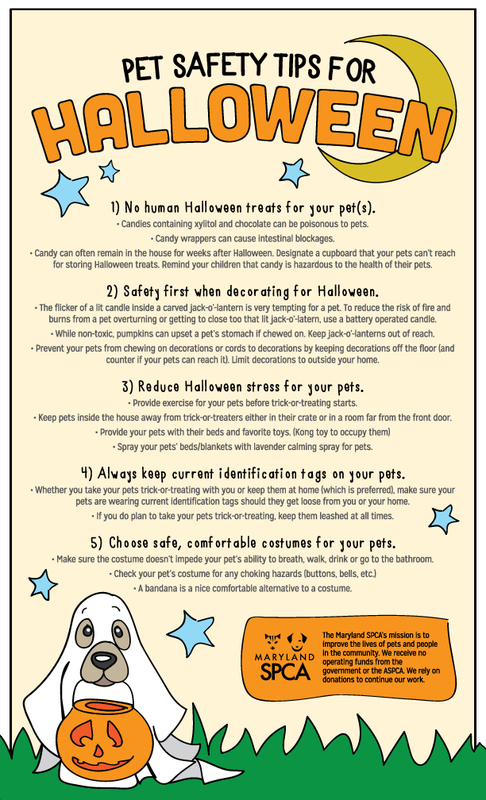 Read more about Trick or Treat, Smell My Paws.. Nope. Taken from a distance because if they see me they come running... I mean that is what puppies do right? They see people and come running for loving, treats and just because ... puppies. They look pretty cute huh? 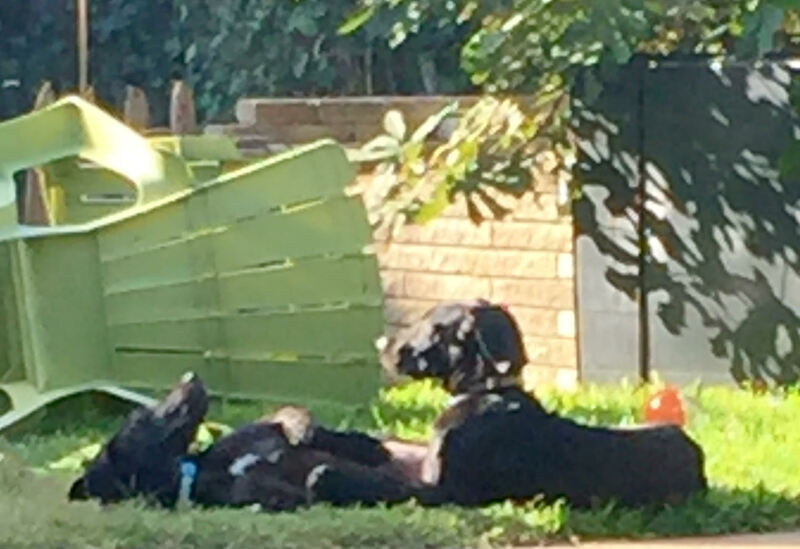 Sunning themselves, rolling in the grass, wrestling and napping. Just being happy silly puppies. I mean what else is in these pictures? Training for Disasters... Is Your Pet Ready to Weather the storm? While the main stream media is fixated on politics the devastation of Hurricane Matthew remains. The amount of suffering, fear and fight for daily survival is ongoing and will take months if not years to reverse. Our hearts and prayers are with those displaced and those asked to deploy and respond to help all souls. From Texas we have numerous Emergency Responders putting their lives on hold, risking their safety for other humans and animals. Authorities learned from previous big storms .. people want to evacuate with their pets and as a result many shelters have been set up to accommodate families with pets so .many families evacuated with their furkids. But is your pet ready? Have you trained your pet in a way that will help minimize their stress .. and yours.. in the event of an evacuation? Basic obedience is important for a good family furkid but there are some things you can train for .. just in case... I mean you practice fire drills with your children, why not practice with your pets. Read more about Training for Disasters... Is Your Pet Ready to Weather the storm?